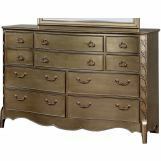 Brushed in a gleaming gold finish, this bedroom set offers sophisticated elegance. 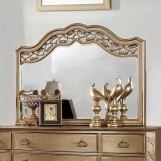 Brushed gold glows as it adds polished accents throughout the set. 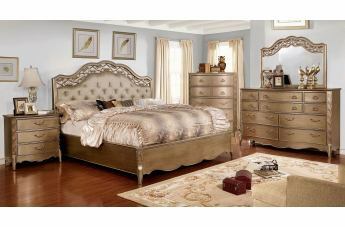 The tufted headboard focuses with flowing curves and tufted accents that add instant focus. 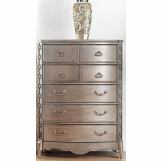 Case goods feature antique style pulls along with uniquely detail corners. 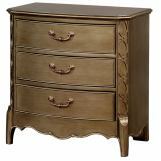 Finished with intricate carved designs, the bedroom set will leave your room with a glamorous ambiance.